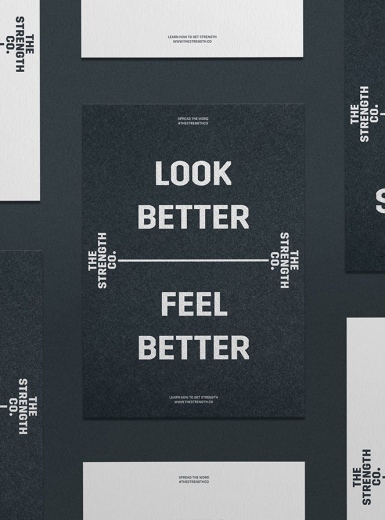 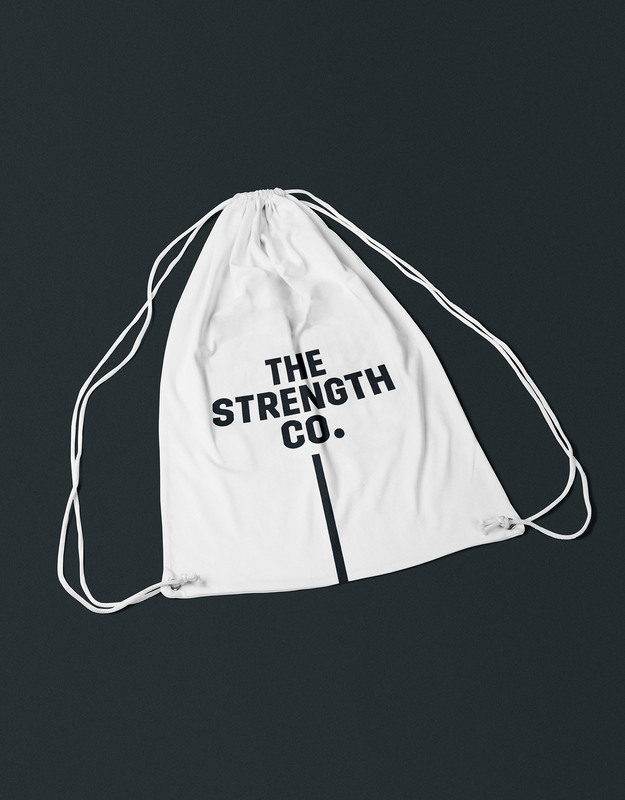 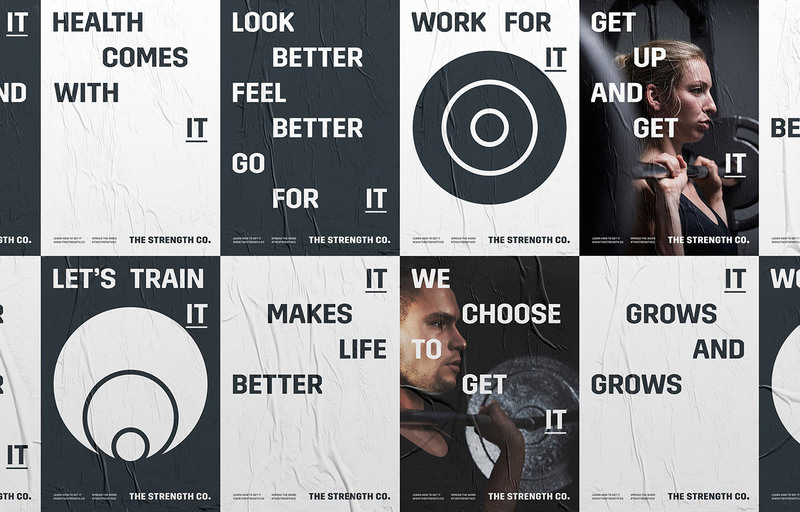 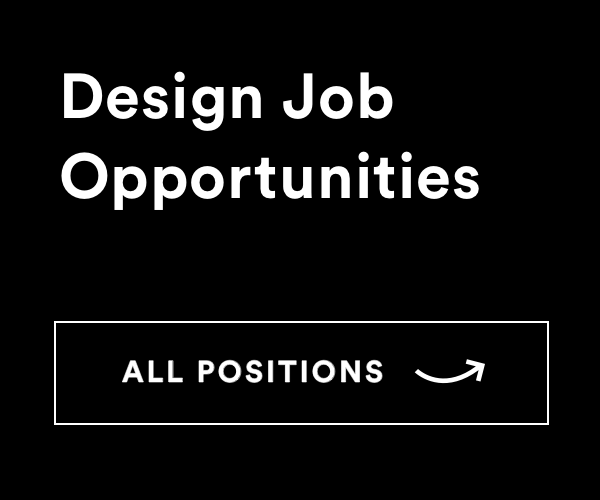 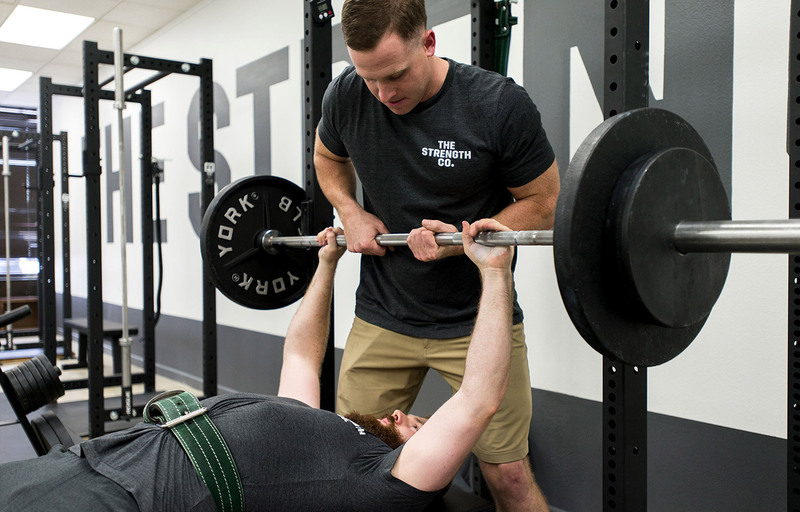 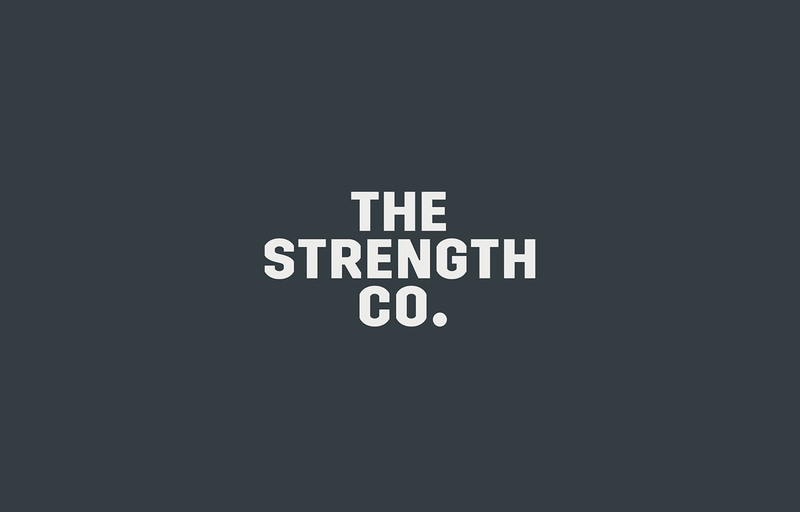 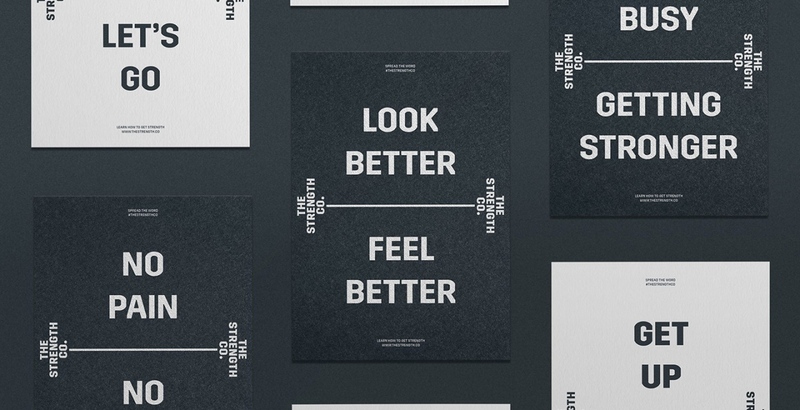 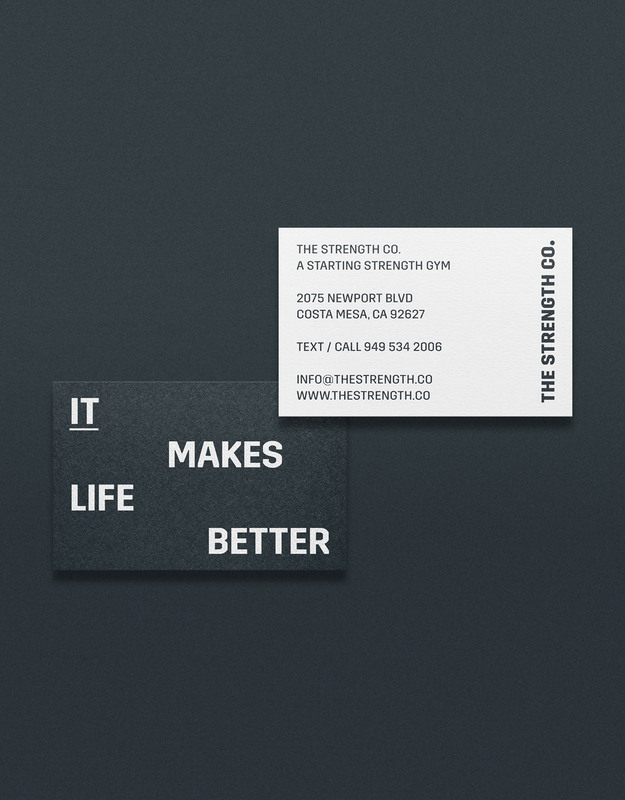 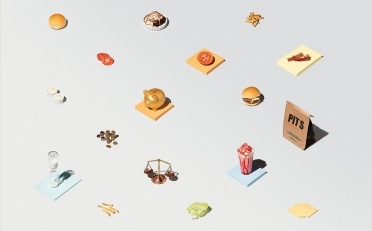 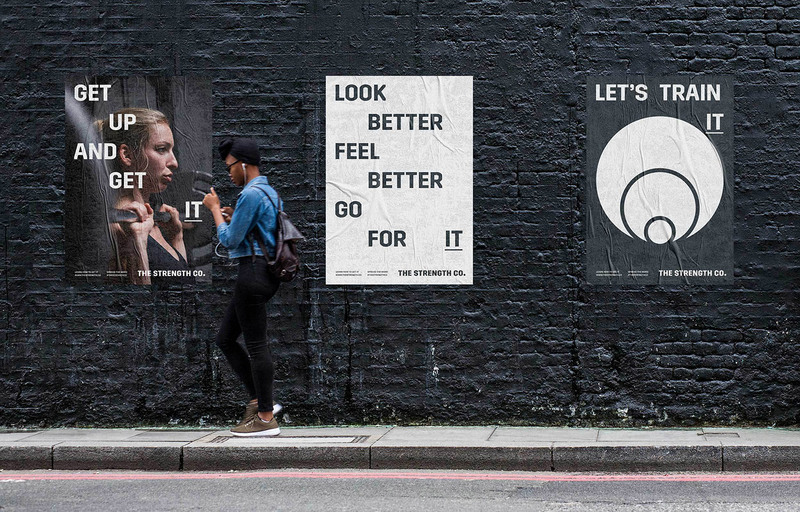 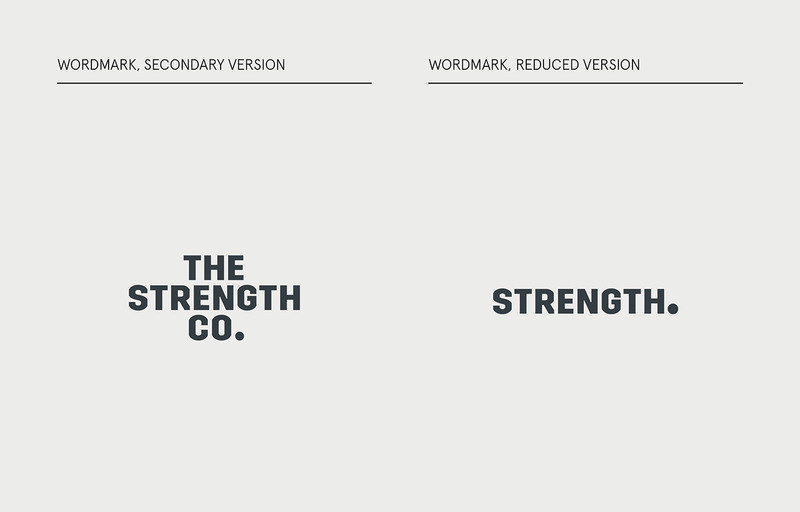 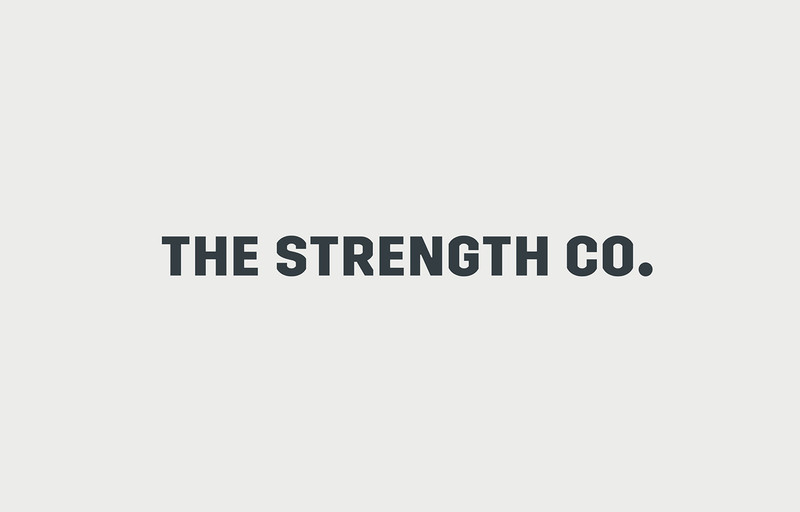 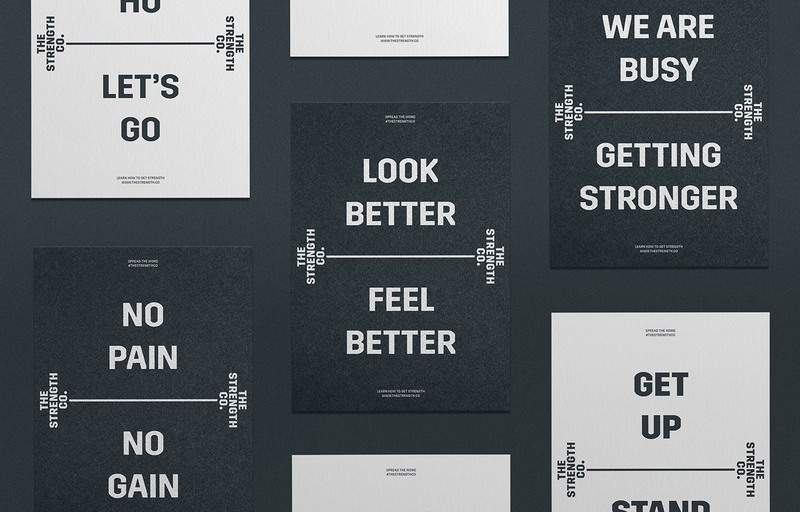 Nestor Garcia of Diferente, a Barcelona-based independent brand consultant, designed the brand identity for The Strength Co. – an exclusive gym in Southern California focused on physical and mental training through barbell workouts. 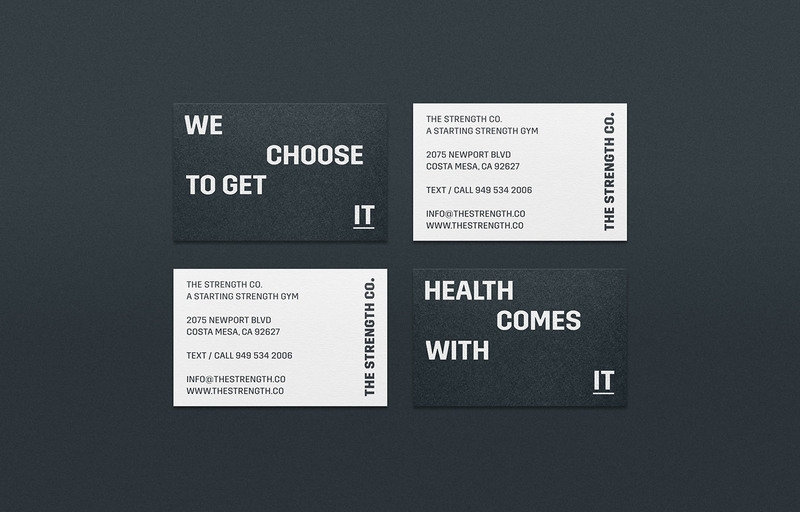 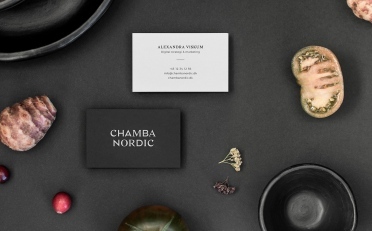 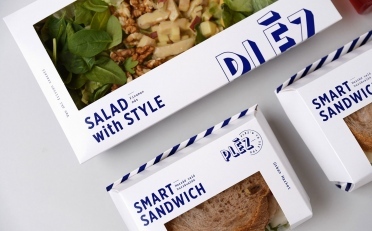 The brand image was crafted with the intention of expressing clearly and simply the main attribute of the business idea: strength. 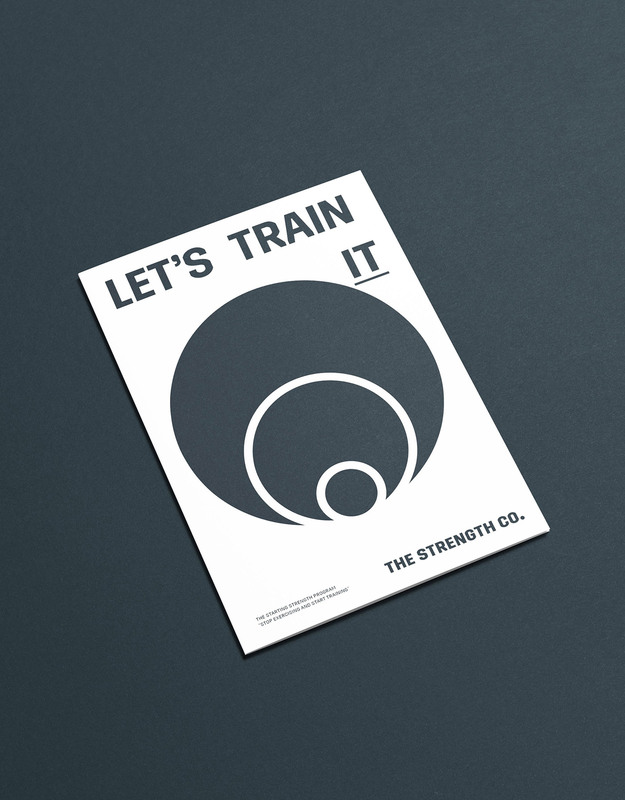 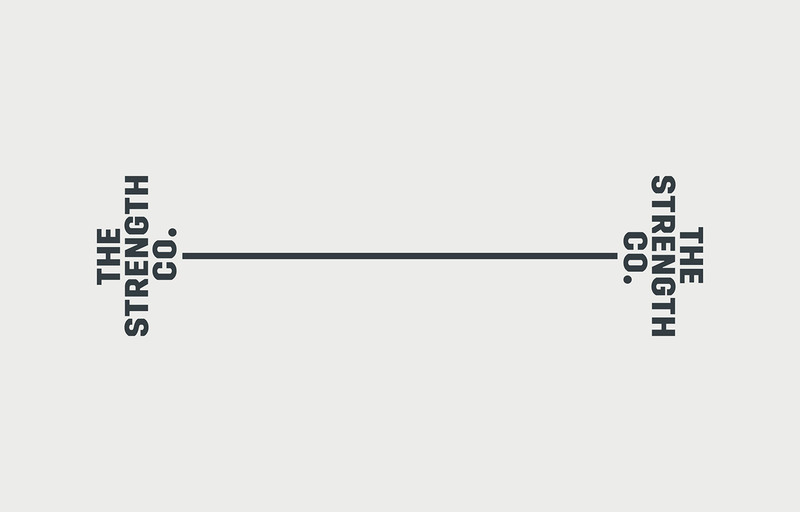 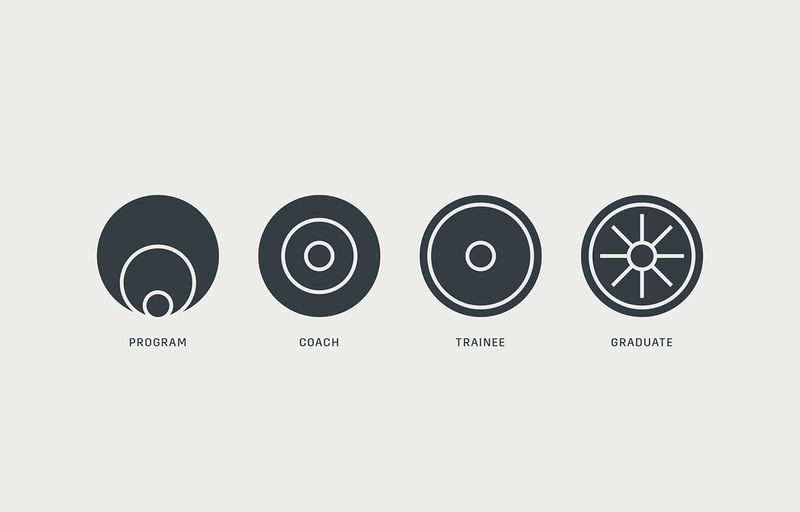 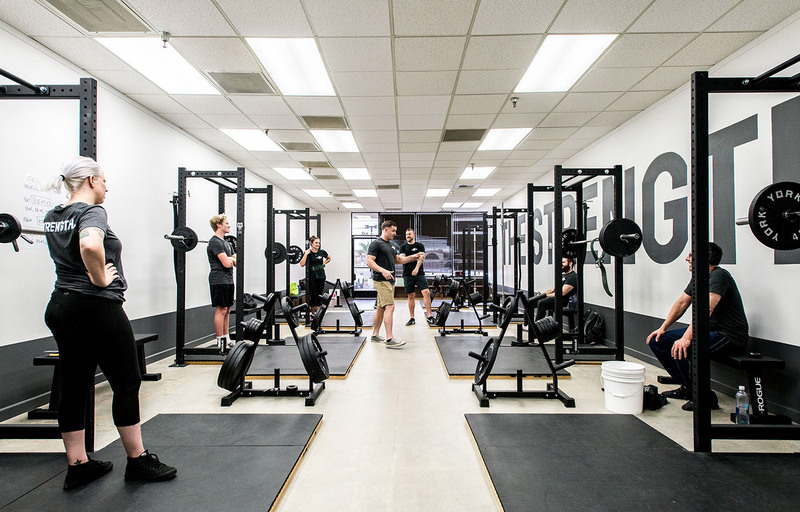 This is achieved by its very brand name — alluding to an elite group — as well as the development of a versatile communication system that encourages others to train with the use of bold messages in a black iron colour, the same colour as the barbells and weight plates in the training studio.